the Korean martial art, specializing in leg techniques. sorry for disappearing for a while. College exams took over the last month of my life. I have been concentrating on all that and I haven’t posted in a while. All of the Challenges were put on hold. I am officially starting up the challenges again. and I will actually be starting another more soon, having to do with a daily workout focusing on core, upper, lower, and slow motion leg movement improvement. leg length: roughly 37 inches long from point of rotation in hip. 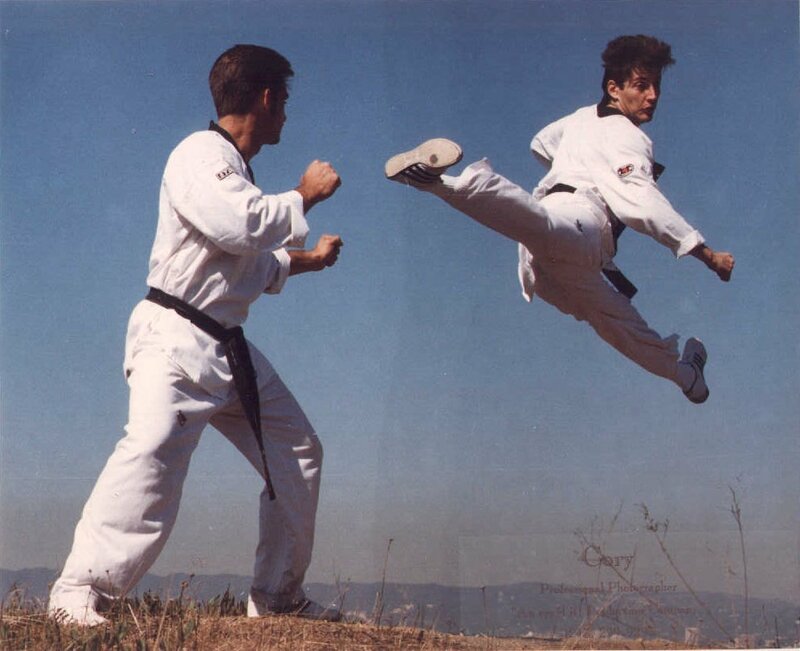 If there is anything that taekwondo has made clear about martial arts, it is how important ﻿﻿﻿proper technique, stretching, cardio, dedication, your core and ingenuity are. These points define you as a martial artist. Great technique does not mean that all the other points are great, but that the body receives less strain and more benefits. proper technique also means less effort, and better use of the energy exerted. Stretching increases the bodies’ physical potential. with more flexibility there is less worry of injuring yourself. you also tend to feel better and have nicer posture if stretches are performed correctly. Your cardio levels directly affect you ability to perform in practice,competition, sparing, training and especially real life situations. Without dedication martial arts can still teach you alot, but it will only be the tip of the iceberg. with dedication you can reach new levels of martial arts, and it shows in everything else you do. Your core muscles are incredibly important for controlling your balance for kicks, strikes, and for having an agile self. Yet the most important thing for a martial artist is ingenuity. You must be able to think on your toes, adapt to the situation, and think outside of the box. Having an open mind and understanding are also developed and help you to enjoy every moment. I know that there is so much more to martial arts, and everyone has different experiences yet these are often neglected. Keep that in mind the next time you think about yourself in relation to martial arts.